Your New Home for the Holidays!! 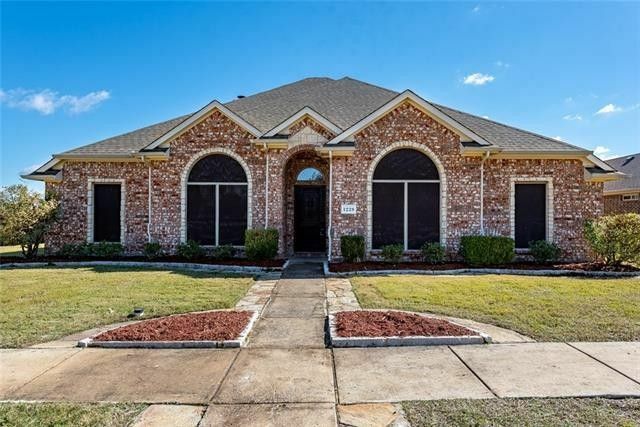 This move-in ready 1.5 story home features an open floor plan, split bedrooms, high ceilings, upgraded lighting, extensive crown and hardwoods. It offers a spacious Family Room with a gas log fireplace and wall of windows; elegant Formal Dining which could be used as a Home Office; island Kitchen with granite, black appliances and wrap-around breakfast bar; sunny Breakfast Nook with a window seat; secluded Master Suite with a luxurious bath with dual sinks, garden tub, separate shower and linen closet; upstairs Game Room; covered patio, sprinkler system, gutters, alarm and over-sized corner lot. Hidden Creek offers a clubhouse, pools, tennis courts, playground, ponds and more. Directions: I-30 to Royse City, North on FM-548 (Elm St), Right on Hwy 66 (Main St), Left on FM-1777 (Bulldog Blvd), Left into Hidden Creek, Left on Hunters Glen, Left on Lost Valley, First Home on Left.